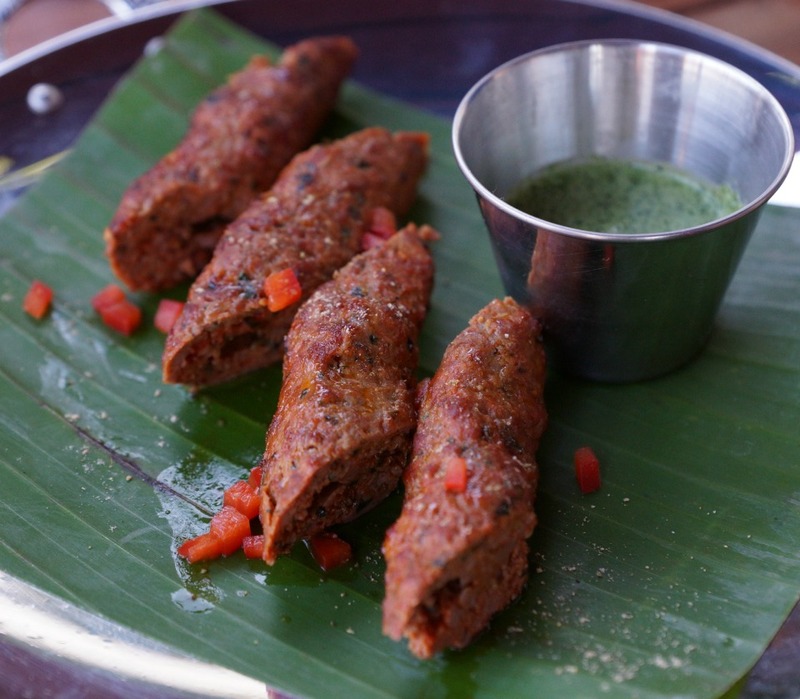 Getting kids to eat Indian food is a challenge that many families come across. Not all kids have a palate that can handle a lot of spices and flavors, and I know with having my youngest being a super picky eater. It’s not any fun to bring the kids out to eat, and all they will eat is the Naan, and then having to cook them a second dinner when arriving at home. 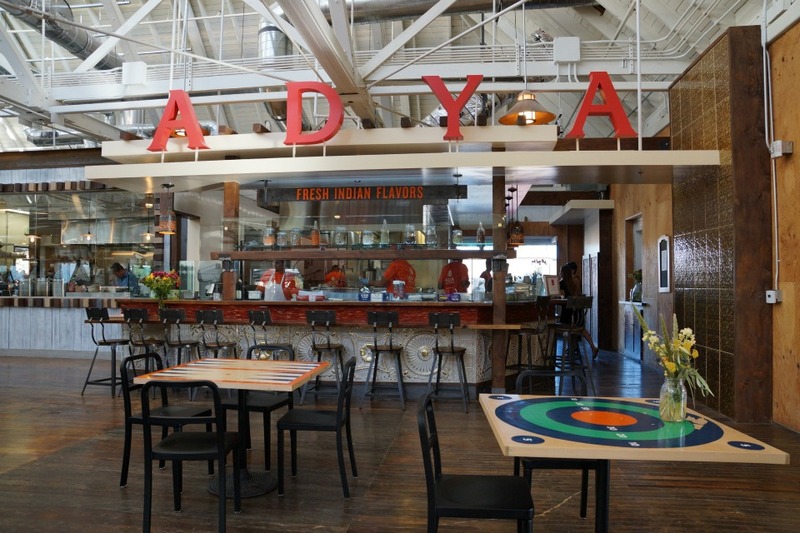 When I heard that Adya was opening in the Anaheim Packing District, and serving Indian “street food,” I was curious to see if it would be an Indian restaurant that we could bring our children to enjoy. We started off our meal with some Malai Tikka, Lamb Shish Kabobs and Tandoori Shrimp. The starters reminded me a lot of traditional Indian food that I would order whenever we dine out for Indian cuisine. 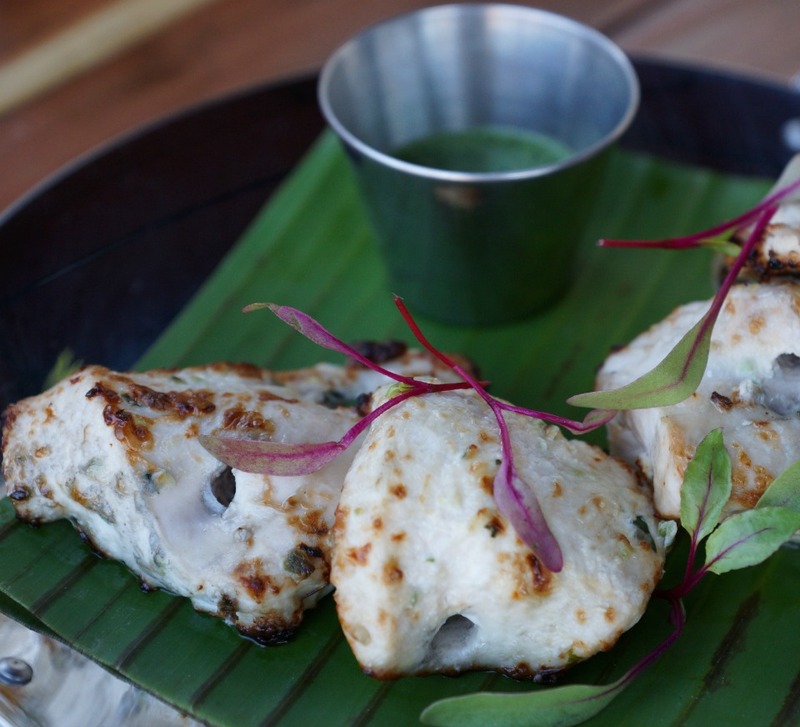 While the Tandoori Shrimp was my favorite starter, the Malai Tikka would be my top recommendation for kids. Then we took our seats to begin the second course. 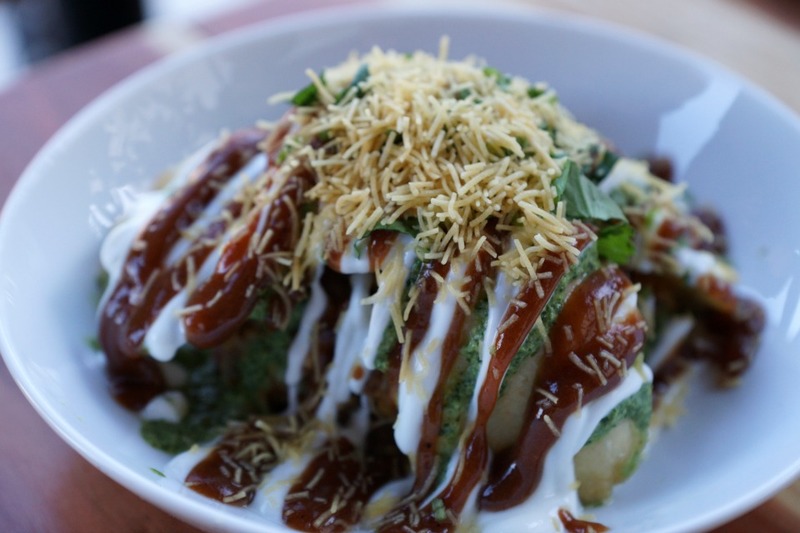 My #1 favorite dish of the night was the Chickpea Chaat. 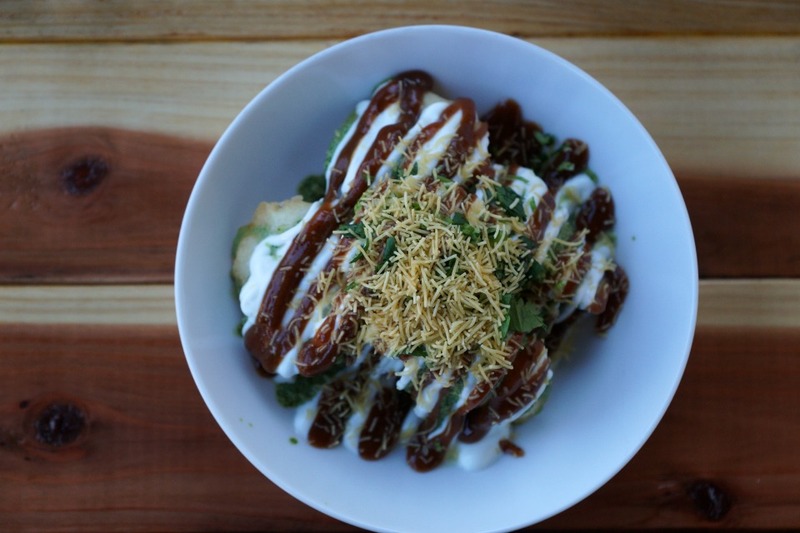 It comes with spiced chickpeas, tamarind and yogurt – it was like Indian nachos. If you have a picky eater, just tell them they are nachos, and I promise they will be begging you for more. 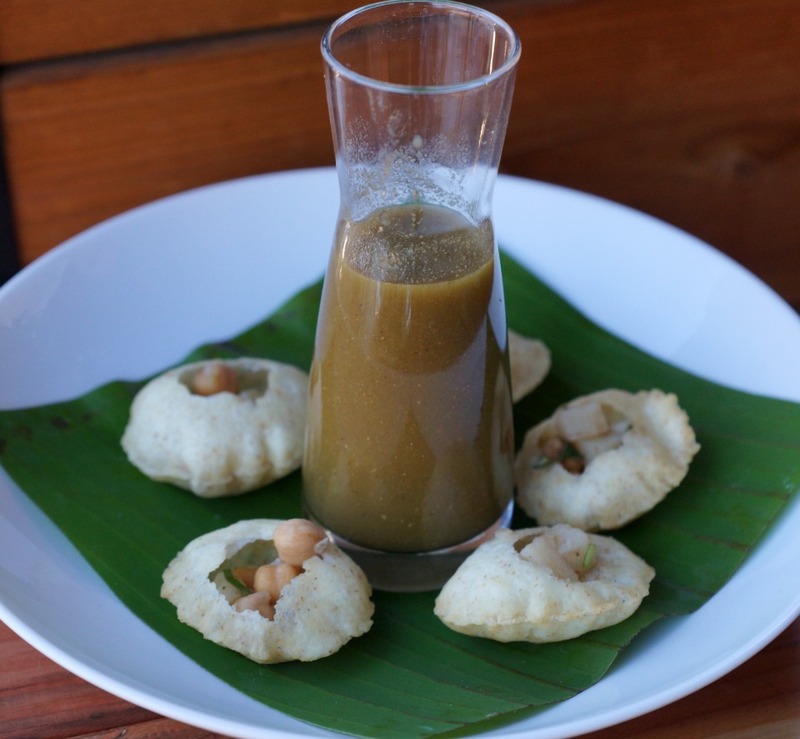 The most interesting dish of the evening was the Pani Puri. They are little crispy bowls filled with potatoes and mint. 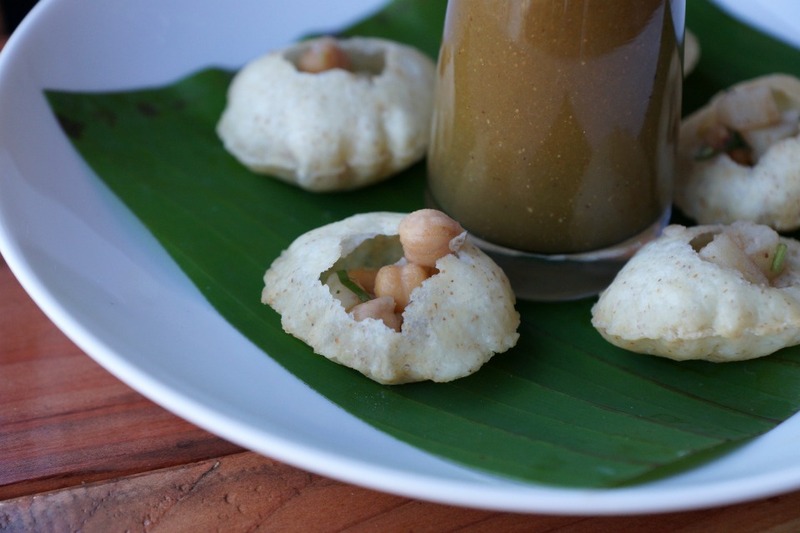 We poured a small amount of the spicy tamarind water into the bowl and popped it into our mouth. It was very mild, and the kids will have a blast pouring the spicy tamarind into the crispy bowls. 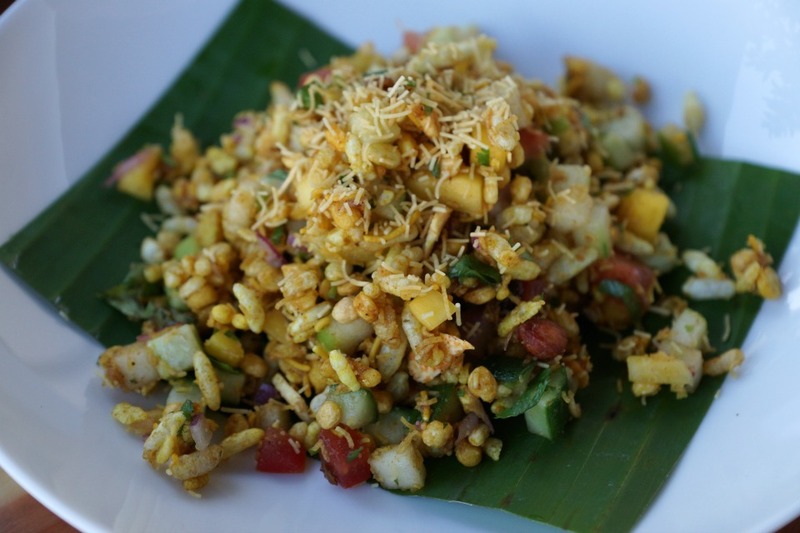 I cannot praise the Bhel Puri at Adya enough. It is fresh, light and the perfect refreshing summer dish. 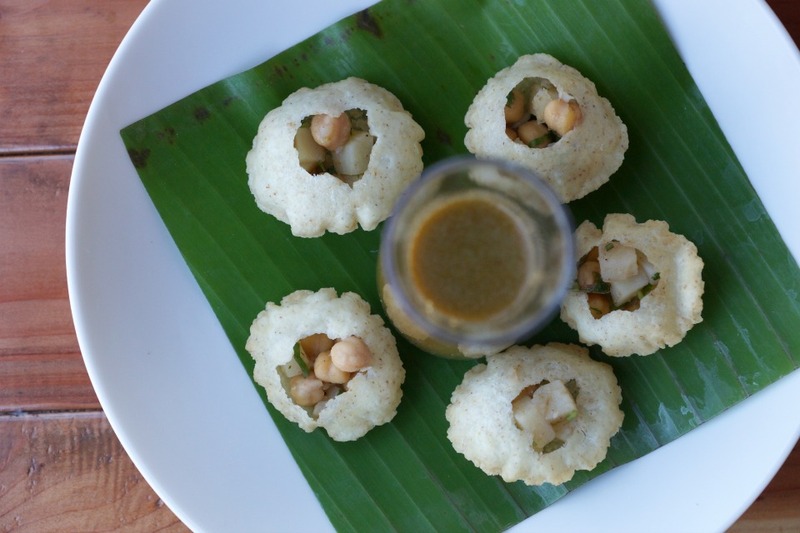 It comes with puffed rice, cucumbers, tomatoes and dry mango. 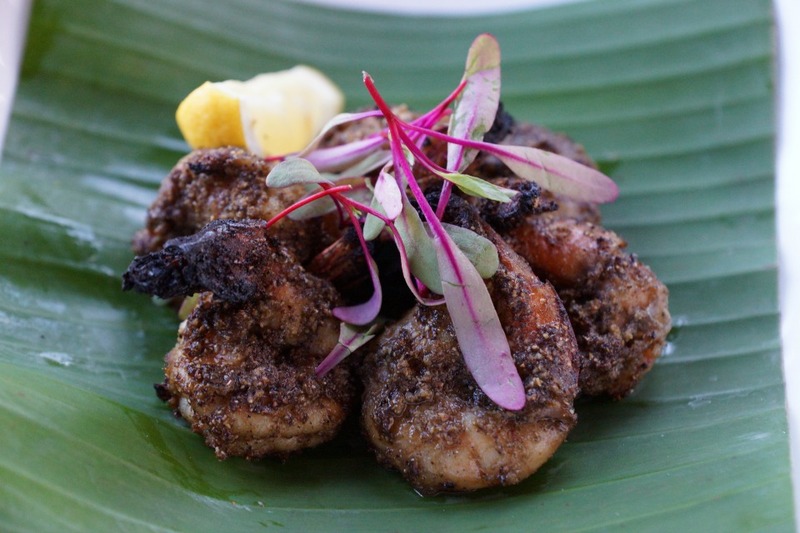 The dish was mild enough for kids to eat and had a wide variety of flavors that would please even the most discerning diner. When it came to the third course, the Paneer Roll was my favorite, but then again, I love everything that comes with egg. 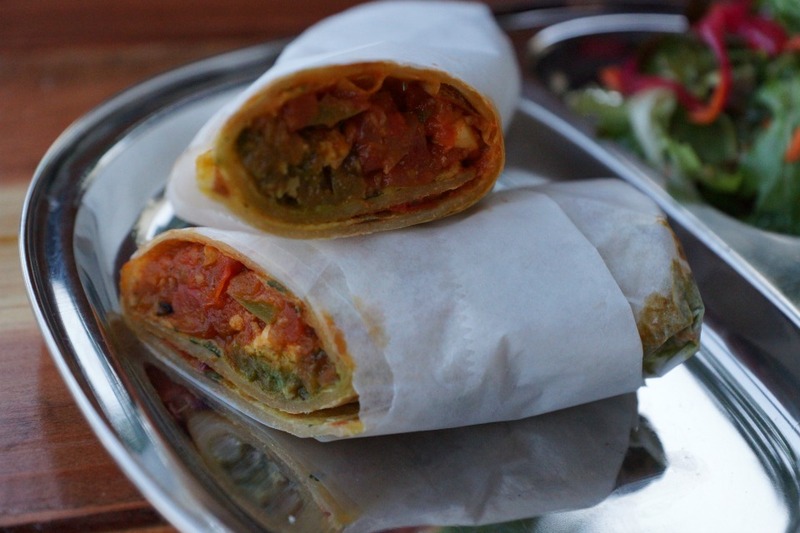 The roll comes stuffed with grilled paneer, peppers, pickling spice, and egg! If you have kids who like sloppy joe’s..who doesn’t! Then they are going to devour the Pav Bhaji. 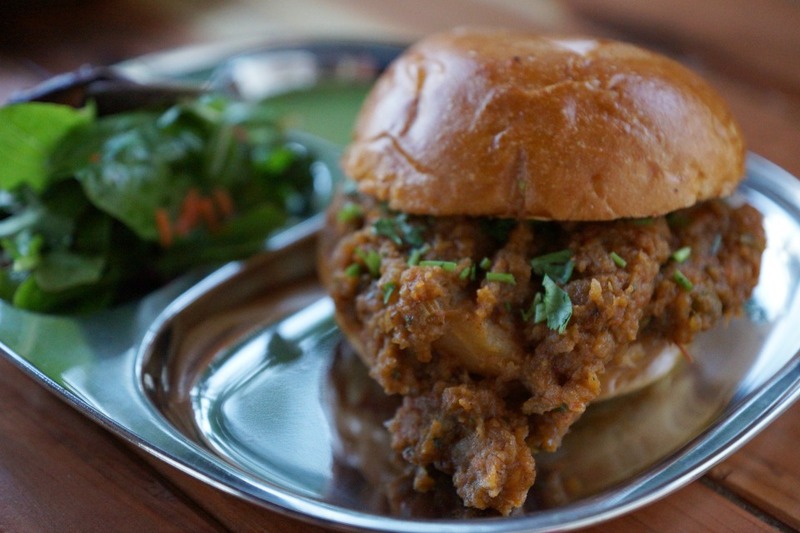 It has the consistency of sloppy joes but boasts with the flavors of India. It is served on a soft warm bun with a small side salad. Did I mention that it is vegetarian? How great is that? 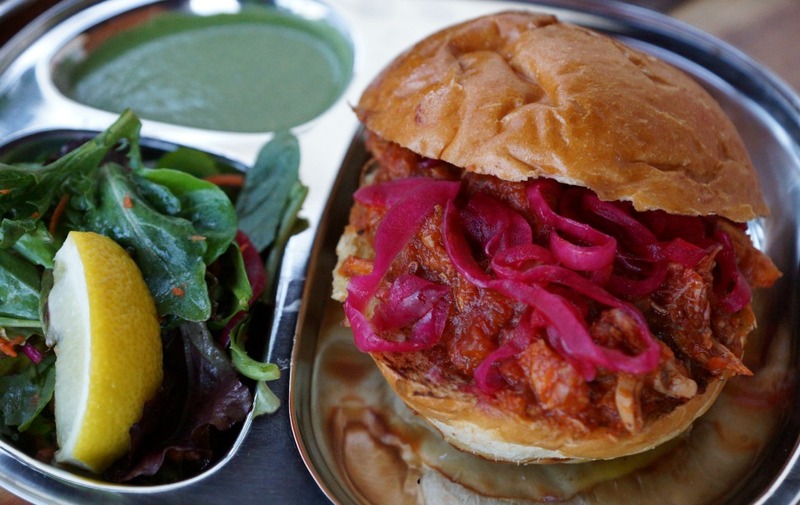 Finally, there was the Vindaloo Chicken Pav sandwich. 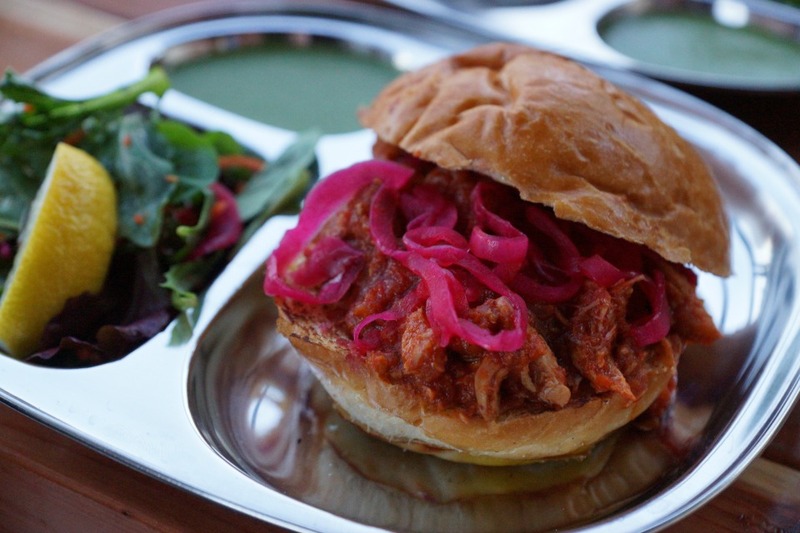 This sandwich does pack a little kick from the chilies and spicy pulled chicken, and it is the perfect dish for diners looking for something on the spicier side of the menu. We ended the evening having more traditional Indian fare. 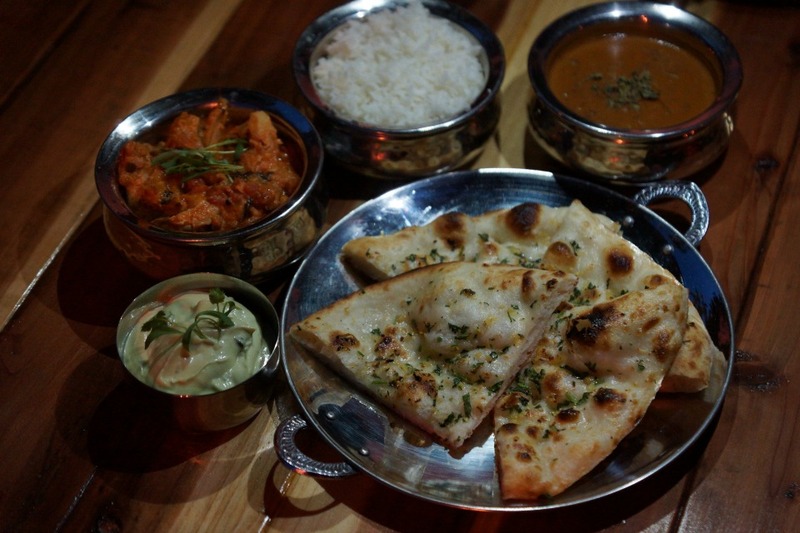 We enjoyed the Old Delhi Style Chicken, Dal Makhani, Avocado Raita and Garlic Naan. I have to warn you that the Avocado Raita is probably one of the best Indian dishes that you’ll ever eat. I recommend ordering an extra side to dip with your naan or if nobody is looking just take a giant spoonful (we won’t tell). 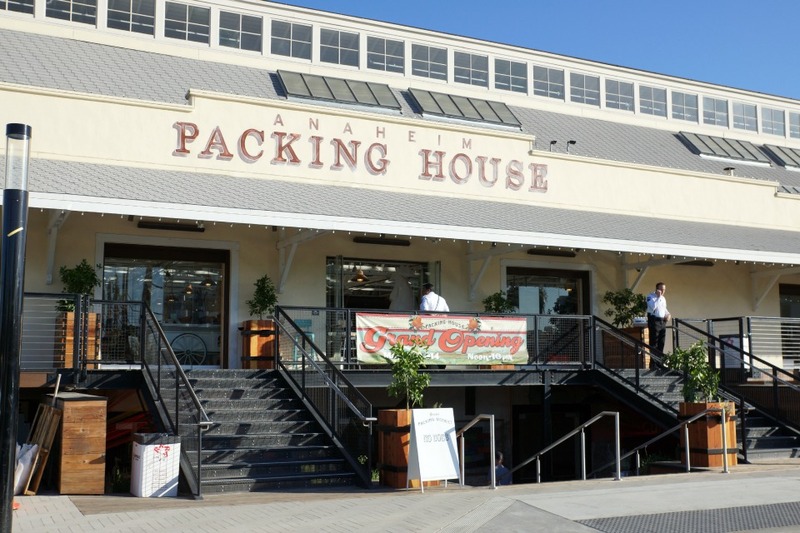 Adya is located inside of the Anaheim Packing District at 440 S Anaheim Blvd. in Anaheim. Parking in the main parking lot can be a little bit of a challenge, but there is plenty of parking on the surrounding streets.